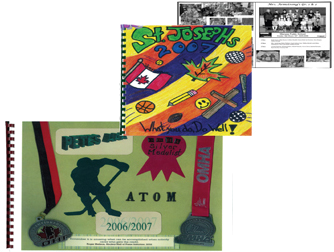 We can print multiple copies of your scrapbook to share with friends and family. Then everyone can enjoy your handiwork and the events highlighted in your Work of Art. We also print and bind Yearbooks and Commemorative Books, We have competitive rates for Schools and Associations.